Police de riha karan to baad Bapu ji parso raat hee hospital cho vapas ghar aaye han. Bapu ji da saath davo. 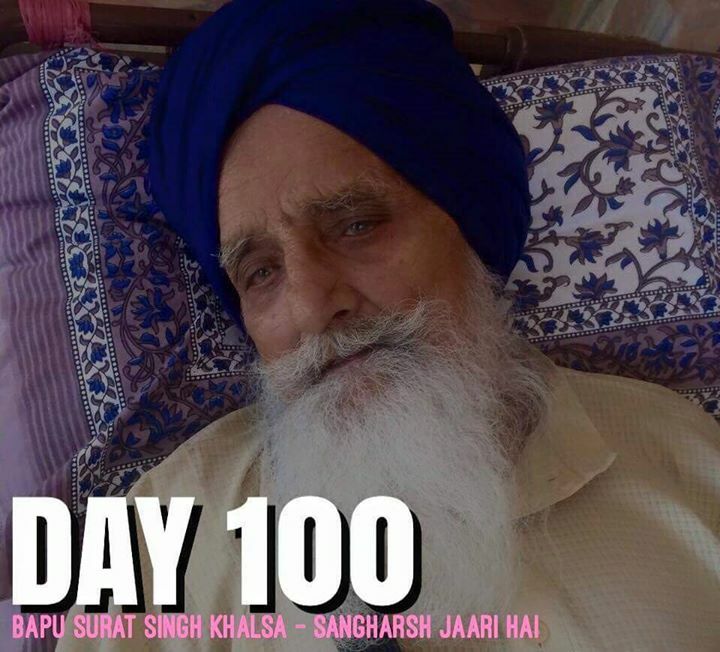 Buzurg Babbar Sher – Bapu Surat Singh Khalsa on hunger strike from lat 100 days , for release of Sikh Prisoners who have completed their sentences.